In addition to being an authorized dealer for all the top brands like Colt, Ruger, Benelli, Smith & Wesson, Kimber, Glock and Remington, Seneca Gun Sports offers repairs and installation for your firearms as well. We diagnose problems, determining the best path for resolution: in-house repair, contract gunsmith services or return to the manufacturer. 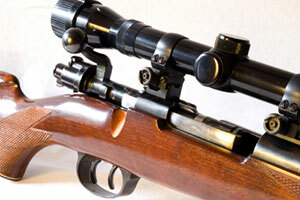 Also, we install a wide range of optics and firearm accessories for your guns. 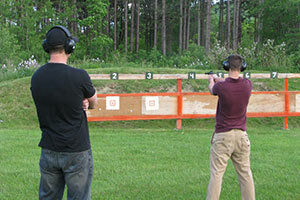 By bringing your firearm to Seneca Gun Sports, you assure yourself that only experts will tend to your pistol, revolver, rifle or shotgun and return it to you in excellent condition. Call (607) 243-7243 or email info@senecagunsports.com to find out how Seneca Gun Sports can help. 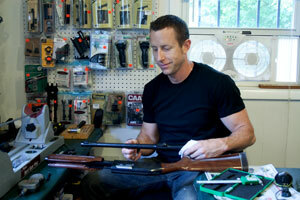 Seneca Gun Sports offers a wide range of refinishing and blueing services. In partnership with certified gunsmiths in the area, we can transform your weather-beaten gun into the handsome firearm it once was. No job too big or too small. Call (607) 243-7243 or email info@senecagunsports.comto learn more about the breadth of restoration services Seneca Gun Sports offers. One of the most important things you can do for your firearm is keeping it clean and lubricated, for purposes of esthetics, value, functionality and safety. At Seneca Gun Sports we take pride in the beauty and craftsmanship that goes into firearms - treating your firearm as if it were our own. We will clean and lube your gun after your hunting season is over or perform annual check-ups on your collectibles in storage. 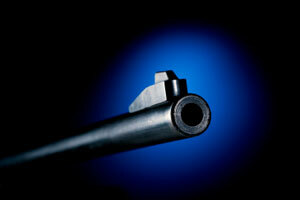 In either case, once you see our work you will be glad you chose Seneca Gun Sports.